Most of us work to make money, just to stay financially stable. Our traditional schooling taught us to basically follow a set of traditional rules, to be successful. Our shared definition of success is often to be “better than average.” This book looks beyond financially secure, and into how you can obtain enough wealth to become financially free from your 8-to-5 job. This book will open your eyes to new options and more avenues for financial wealth. 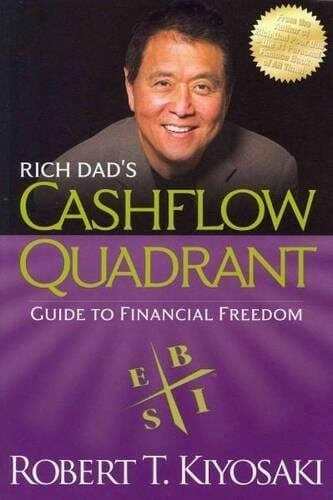 Robert T. Kiyosaki is a well-known author. 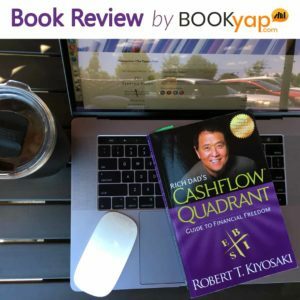 In his book, Rich Dad Poor Dad, he began exploring the topic of the Cashflow Quadrant, but in this book he goes into much greater detail. He explains options and alternatives that are accessible to you – that will guide you to financial freedom. He delves into things that most traditional schools rarely talk about. Many of us feel that earning a living has basically one single path – and we’ve already found a solid path. But we often don’t see other options. After reading this book you may discover other, new options that are significantly better than the one you’re currently following, but have never been exposed to. I think this book should be mandatory for first-year college students. This book would help students realize they have more options to choose from, so they can prepare themselves better, during their college years. For the same reason, I also highly recommend Increase Your Financial IQ: Get Smarter with Your Money by the same author.